XS: bust: 32" - 34". length: 25"
S: bust: 36" - 38". length: 26"
M: bust: 40" - 42". length: 28"
L: bust: 44" - 46". length: 29"
XL: bust: 48" - 50". length: 30"
2XL bust: 52" - 54". length: 32"
3XL: bust: 56" - 58". length: 33"
Note: This item can be imprinted with a company's name, logo or message. We've got the solution that will exceed your expectations and fit within your budget. For more details, please contact us. 4.6 oz. 65/35 poly/cotton fine twill fabric. 3/4 sleeve with cloth covered buttons, thermometer pocket and left chest patch pocket. Comes in 9 color options allowing for both the front and back of the house. 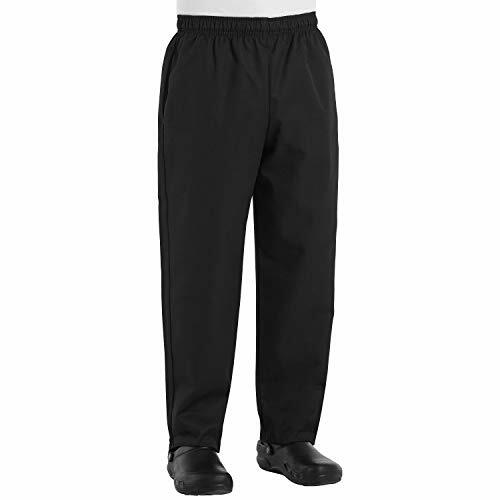 The Lightweight Baggy Pants are constructed with 4.7 oz. 65/35 poly/cotton 'lite' twill fabric which is both breathable and comfortable. 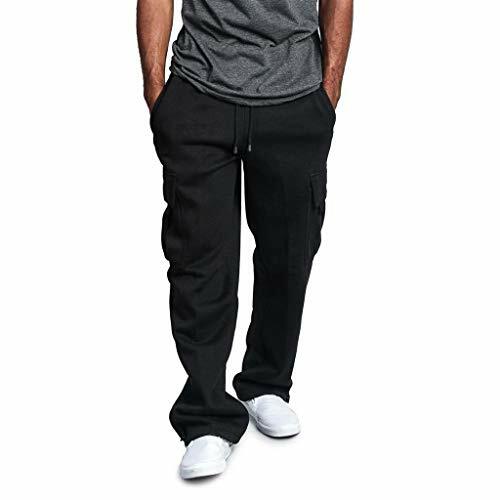 These baggy pants feature double-needle stitching, a curved elastic waistband with drawstring and zipper fly. 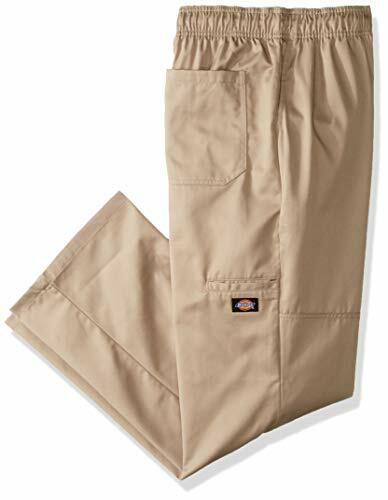 To hold all of your belongings, these pants have 2 slanted side pockets and 2 large back pockets plus a built-in cell phone pocket on the left leg. Available in black only. Ten pearl buttons on a double-breasted coat send a message: you're good. Non-yellowing UV buttons stay white through laundering and your choice of pre-shrunk fabrics feature soil release finish for a clean look every time. CLASSIC COMFORT: Double-breasted with a stand up collar & ten pearl buttons, this chef pant is as professional as you can look in a kitchen. 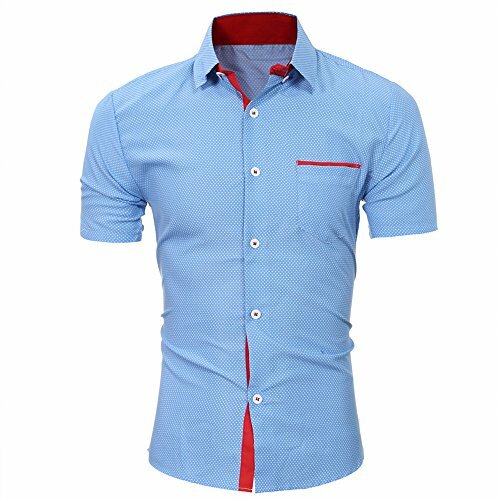 It's a machine washable cotton/poly blend that features the durability of polyester & the comfort of cotton. 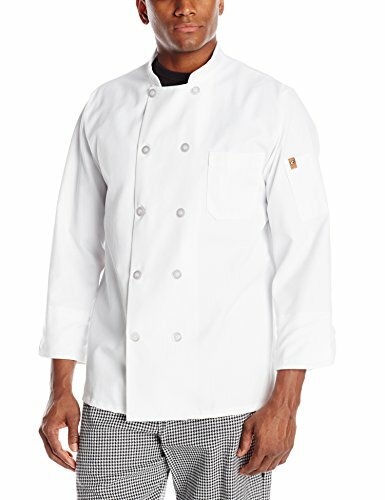 TRIED & TRUE DURABILITY: Your culinary creations will be delicious when you wear this unisex chef coat, made of preshrunk fabric so it retains its shape & stain-resistant technology helps wash away sauce spots, spatters and other wayward ingredients. 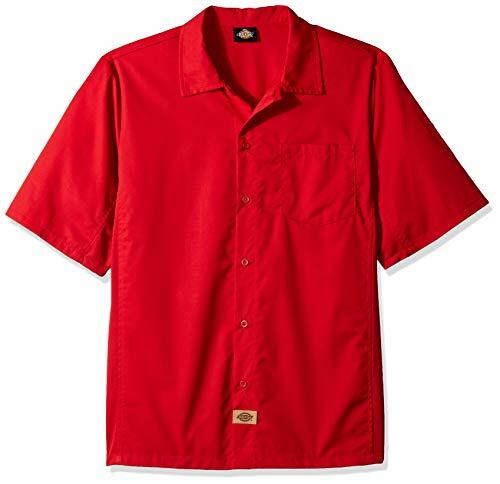 CULINARY APPAREL, DONE RIGHT: Brought to you by the workwear experts at Red Kap, Chef Designs offers a variety of comfortable fitting, professional apparel for the food and beverage industry from chef coats, shirts and pants to aprons and accessories. Whether you choose poplin or twill, poly/cotton blends add structure to a hectic day. A brass zipper and snap closure keep things together, while a side-elastic waistband offers extra breathing room. Store what you need in patch hip and front slant pockets - and get through the day in style. 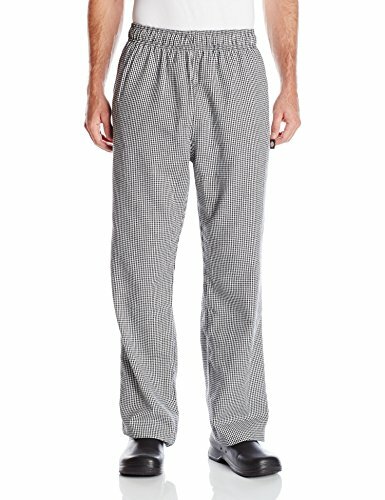 CLASSIC COMFORT DESIGN: Designed for work in a busy kitchen, cooks & chefs will appreciate the comfort & flexibility of the side elastic waistband for ease of movement. The sleek snap-front closure means stitched buttons won't interfere with your work. A lightweight, go-anywhere coat, the springfield is the quintessential workhorse for your chef de cuisines, sous chefs, and line cooks. 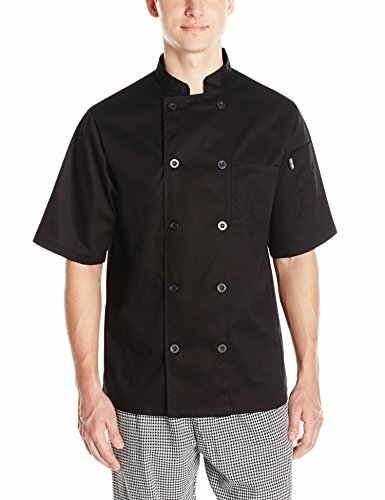 A short-sleeve staple, this coat features cool vent side paneling, dual sleeve pockets, a zip-up front, side seam slits and a back collar snap tab to hold your apron securely in place. \n ? Hello? ?, Dear Friends, Welcome to Kalinyer, Have a good shopping time.??? \n ?? ?-----------------Size Chart For Baby(Unit:cm/inch/1 inch = 2.54 cm)--------------------??? \n Size:M ---- Bust:96cm/37.79" ---- Shoulder:42cm/16.53" ---- Length:67cm/26.37"
\n Size:L ---- Bust:100cm/39.37" ---- Shoulder:43cm/16.92" ---- Length:69cm/27.16"
\n Size:XL ---- Bust:104cm/40.94" ---- Shoulder:44cm/17.32" ---- Length:71cm/27.95"
\n Size:2XL ---- Bust:108cm/42.51" ---- Shoulder:45cm/17.71" ---- Length:73cm/28.74"
\n Size:3XL ---- Bust:112cm/44.09" ---- Shoulder:46cm/18.11" ---- Length:75cm/29.52"
\n Size:4XL ---- Bust:116cm/45.66" ---- Shoulder:47cm/18.50" ---- Length:77cm/30.31"
? SIZE NOTE: Please check the details on our size chart NOT amazon chart. Asian Size: M EU: 72 US: 29 Waist: 74-84cm/29.1-33.1" Hip: 100cm/39.4" Length: 102cm/40.2"
Asian Size: L EU: 74 US: 30 Waist: 78-88cm/30.7-34.6" Hip: 104cm/40.9" Length: 104cm/40.9"
Asian Size: XL EU: 76 US: 31 Waist: 82-92cm/32.3-36.2" Hip: 108cm/42.5" Length: 106cm/41.7"
Asian Size: 2XL EU: 78 US: 32 Waist: 86-96cm/33.9-37.8" Hip: 112cm/44.1" Length: 108cm/42.5"
Asian Size: 3XL EU: 80 US: 33 Waist: 90-100cm/35.4-39.4" Hip: 116cm/45.7" Length: 110cm/43.3"
About Us :Welcome to the QBQCBB Store, we offer free, flexible returns and exchanges. If you have any questions, please contact me via email. We will give you a satisfactory answer within 24 hours. Size Detail :Our clothes are Asian size, please choose 1~2 size larger than your usual size. Please check the size chart before ordering. If you are not sure of the size, please send us a message. Suitable For : Gym, Running, Workout, Fitness,Training,Jogging,Basketball,Boxing wear and Outdoor living Etc. Delivery :Standard delivery arrives in 15 to 20 business days,Express delivery arrives in 3 to 8 days.We will ship for you within 1~2 days. Military Sports Watch-- Featuring fashionable military style outlook and large Dial (case diameter is 1.96 inch / 50 mm), this digital sports watches suits all kinds of sports and outdoor activities. Multi-functional watch: Dual time display,Stopwatch,LED backlight,Alarm,Calendar,Water Resistant,Shock Resistant,12/24H format selectable. Premium Quality & Comfortable to Wear-- High hardness glass mirror and ultimate shock resistant shell ensures durability. Soft and durable PU watch band and reinforced resin band design makes it more ergonomic and comfortable to wear. Waterproof Digital Watch-3ATM Water resistant (Suitable for everyday use and swimming. Splash/rain resistant. NOT suitable for diving.) Please do not press any button under water. Application-- This sport watch perfectly fits all kinds of sports and it's really an everyday watch also a perfect gift for any occasion. Please do not hesitate to contact us if you have any questions. We will try our best to help you! - Total length: 25,0 cm. 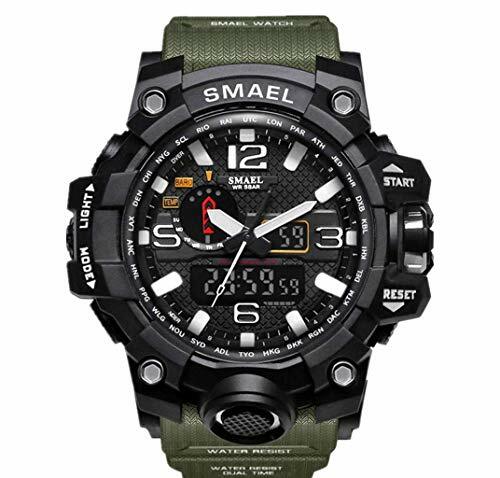 High quality SMAEL watches, traditional craft, quality and art combined . 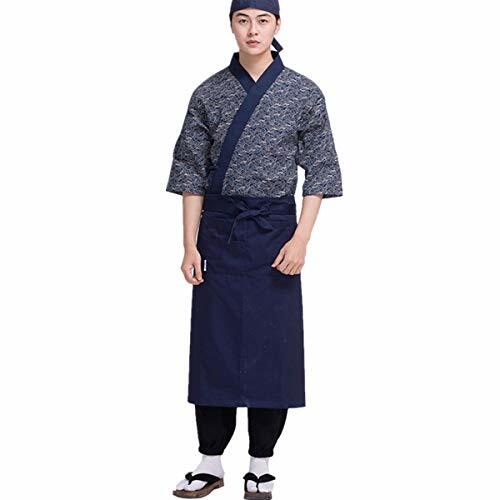 Chef uniform, suitable for Japanese and Korean restaurant, hotel, sushi bar, bakery, etc.  3. About Design: Adjustable side lacing design, easy to fit all kinds of body shape. V-neck, flower pattern, Japanese style, exquisite and good-looking.  4. About Feature: Chef kimono, breathable and soft fabric, comfortable to wear. Durable and practical, easy to wash.
 5. 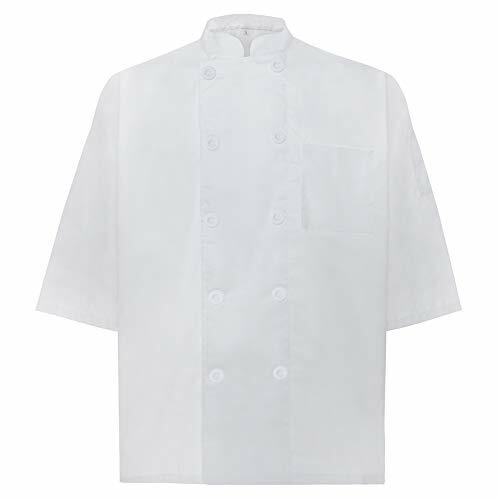 About Use: Chef uniform, suitable for Japanese and Korean restaurant, hotel, sushi bar, bakery, etc. 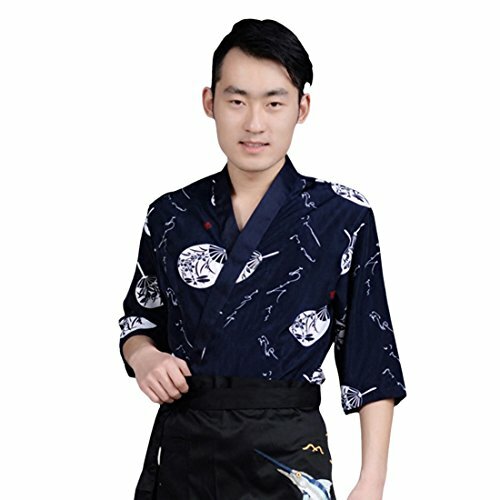 Classic and clean Xiangyun Japanese kimono design which can make you look more elegant. 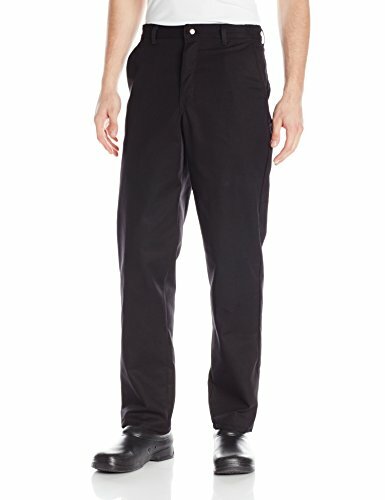 This is a 3/4 long sleeve and single-breasted Japanese restaurant work uniform. Material: This coat made of 100% Cotton. US:XS(Label M): bust: 43.3", shoulder width: 19.6", coat length: 30.3", sleeve length: 15.7" US:S(Label L): bust: 45.2", shoulder width: 20.4", coat length: 31.4", sleeve length: 16.1" US:M(Label XL): bust: 47.2", shoulder width: 21.2", coat length: 32.6", sleeve length: 16.5" Please check the size chart carefully when choosing the size, and the product will have about 0.1"-0.3" error and product with picture have some color difference. Please understand, thank you!